Dennis Kennedy has an unwavering passion for people and works to ensure that all individuals receive equal opportunities in the workplace regardless of race, ethnicity, gender, religion, age, physical or mental handicap, physique, gender identity or sexual orientation. 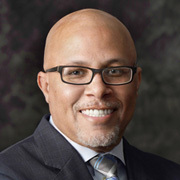 In 2004, Mr. Kennedy walked away from his job to start the Texas Diversity Council, www.texasdiversitycouncil.org. He saw a very strong need to create an organization that would champion Diversity & Inclusion across the state. Four years later, Mr. Kennedy found himself launching the National Diversity Council (NDC) for the exact same reasons he started the state council. Currently, the NDC is made up of 11 state and regional Councils: California, Florida, Georgia, Louisiana, Michigan, Ohio, Pennsylvania, Texas, and Tri-State (NY, NJ & CT). His vision is to have state and regional diversity councils in all 50 states. Along with the state councils, Mr. Kennedy has launched several state wide conferences focused on diversity, leadership and women. Currently there are conferences taking place in the following states: California, Florida, Georgia, Louisiana, Ohio, Pennsylvania, Texas, New York, Connecticut, Virginia and Washington. The link to the diversity/leadership conferences is www.nationaldiversityconference.com. Moreover, Mr. Kennedy has launched two additional national organizations in 2011 including National Women’s Council, (www.nationalwomenscouncil.org) which focuses on advocacy for women and the Council for Corporate Responsibility, (www.uscorporateresponsibility.org) which seeks to educate organizations on best practices in social responsibility. In addition, Mr. Kennedy is the Founder & Publisher of DiversityFIRST™ Publishing which is currently made up of two state magazines: California (www.californiadiversitymagazine.org) and Texas (www.texasdiversitymagazine.org). Also under the auspices of DiversityFIRST™ Publishing is the DiversityFIRST™ Newsletter which is published in 11 states including: California, Florida, Georgia, Louisiana, Michigan, Ohio, Pennsylvania, Texas, and Tri-State (NY, NJ & CT). Furthermore, Mr. Kennedy spent several years as a college professor in the business schools at the following universities: University of Houston Downtown, Texas Southern University and University of Texas at San Antonio. Some of the courses he taught included: Business Statistics, Economics, HR Management, Compensation Management and Diversity Management. He also spent 5 years working in a corporate environment in the field of Human Resources. Mr. Kennedy is currently working on his book titled, CreatingYourSignificance, which is a unique self-marketing strategy that will allow you to create a successful personal brand. The book is slated for publishing on January 2nd, 2013. Mr. Kennedy graduated from the University of Houston Main Campus (UofH) with undergraduate degrees in economics, business management, political science and physical education; he also earned a MBA from University of Houston Main Campus as well. In addition, he was a scholarship athlete for football.